Some music on the spookier side for all you Halloween freaks. Pre-internets, my dad used to have a folder of news clips he called the "Bigfoot File." Being from Oregon, the tales of these big creatures being sighted, or huge footprints being found, were common. I remember as a kid being curious about this phenomenon, much like UFOs, and reading various TIME-Life articles on Bigfoot sightings - especially the famous videotape, which has recently been formally debunked as a hoax. Yetis, Bigfoot, Chewbacca - do they walk among us? These days, I'm not really trying to find out. But it's October, and while I'm not a big Halloween person, I figured I'd try something conceptual and somewhat thematic this month. 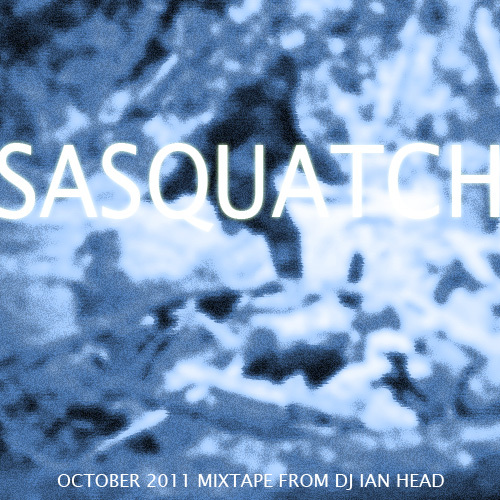 Some creepy beats and breaks, and various "Sasquatch Hunters" and academics giving us the breadth of their knowledge on the creature.